Michael offers radio hosts Big Boy and Fuzzy a preview of Thriller 25th in the Las Vegas recording studio The Palms in the presence of Blanket, Will I Am and Peter Lopez. Michael prepares a pepsi commercial featuring the Thriller dance for the upcoming Superbowl half time ads. Extra & Access Hollywood air new interviews of Janet on the set of the Feedback video. Back in New York City Janet gives a series of interviews. Janet makes a photoshoot for an upcoming cover of VIBE magazine at Milk Studios in NYC. Michael takes Prince, Paris and Blanket to Madame Tussaud’s was museum in Las Vegas. The video for Janet’s new single “Feedback” is premiered on BET’s show 106 & Park. Janet is gracing the cover of this weeks Billboard Magazine issue with a new interview. Island Def Jam Records launches the new version of Janet’s official website. Michael and the kids attend the Tournament of Kings at Excalibur in L.V. Michael Amir arrives in Las Vegas and steps up as Michael’s new personal assistant. Nation Of Islam takes over Michael’s security. Michael and the kids leave the Palms and move to a rented house in Palomino, Las Vegas. The Feedback video is premiered on MTV’s TRL. The mailinglist from Janet Jackson’s official website e-mails all of its subscribers with the official cover of the Discipline album. L.A REID premieres 8 songs from the Discipline album during a listening party in London. Janet gives radio interviews over the phone. In a recent interview of french magazine Madmoizelle Janet reveals that the production part of her upcoming tour is already complete. Janet attends Jermaine Dupri’s Industry Night launch party at Prive Las Vegas inside of the Planet Hollywood Resort & Casino in Las Vegas, Nevada. 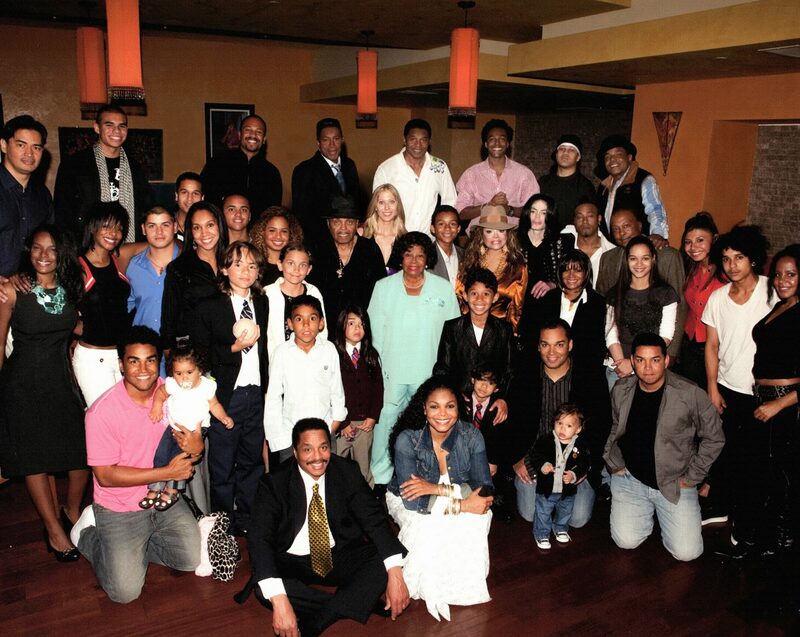 Janet & JD attend Benny Medina’s birthday party in West Hollywood, California. Michael accepts an award celebrating the 25th anniversary of Thriller in a pre-recorded video message aired during the NRJ Awards ceremony on French TV network TF1. Janet starts rehearsing for her upcoming promo tour. Janet’s official website premieres 2 new songs from Discipline : Rock With You & Luv. Janet is currently in rehearsals for her new video, Rock With You. The song will be released officially to radio in the next few weeks and the video is scheduled to be finished shooting in America within 2 weeks. Janet is gracing the cover of TOUCH magazine in the UK. “Rock With U” is released digitally as the 2nd single from “Discipline”. Janet & JD attend a private Discipline album listening party thrown by LA Reid in New York City where Janet is interviewed by Blender magazine. Janet is gracing the cover of PARADE magazine with a new photoshoot/interview. Janet & JD attend the So So Def/Island Records Annual Pre-Grammy Party held at Central Nightclub in Hollywood, California. Janet & JD attend the Clive Davis Annual Pre-Grammy Party held at the Beverly Hilton Hotel. Janet & JD attend Entertainment Weekly Island Def Jam Grammy After Party in honor to Antonio “L.A” Reid in Los Angeles. The Thriller 25th Anniversary Special Edition is released in Europe. “Luv” is released digitally as the 3rd single from “Discipline”. The Thriller 25th Anniversary Special Edition is released in the US. Michael hosts a party for Prince’s 11th birthday. Janet graces the cover of The Big Issue & The Observer in the UK. Janet visits the KIIS FM studios in L.A and gives a live interview on the Ryan Seacrest Morning Show. Later she gives interviews to MTV News, CNN and Access Hollywwod. Janet & JD attend the NAACP Image Awards at the Shrine Auditorium in Los Angeles where Janet wins the award for Outstanding Supporting Actress for her role in “Why Did I Get Married?” . She also presents the special “Hall Of Fame” award to Stevie Wonder. Janet gives radio interviews to Power 106 Big Boy’s Neighbourhood and the Rick Dees Morning Show. Janet shoots the video for Rock With U directed by Saam Farahman in Los Angeles. Discipline is leaked all over the Internet. Janet goes to the S Bar in Los Angeles with JD & Saam Farahman. Michael hosts a big party for Blanket’s 6th birthday. Birth of Bryce Connor Jackson, first child of Taryll & Breana Cabral. Janet leaves her rehearsals for “Good Morning America” so that she can visit JD at his doctor’s office where he is getting eye surgery..
Janet is named MTV’s artist of the week and she appears in a group of 9 skits for MTV’s 52 Bands/52 Weeks series directed by Joel Schumacher and featuring Janet with the Kids. In NYC, Janet tapes an interview on the Tyra Banks Show and makes an apperances on BET 1O6 & Park. The album DISCIPLINE is released in Japan with a bonus track. -ELLEN DEGENERES SHOW : Janet tapes a performance of Feedback & That’s The Way Love Goes. Janet goes to Culver City at Smashbox Studios to make a photoshoot for next month’s issue of Blackbook Magazine. -Janet gives an interview on the Larry King Show on CNN. The Ellen Degeneres Show with Janet is aired. Janet graces the covers of EBONY, VIBE & Blackbook magazines. The Tyra Banks Show with Janet is aired. Janet is a guest on ABC’s Jimmy Kimmel Live. Following the filming, she has dinner at Katsuya, a new, popular celebrity hot-spot in Hollywood. Discipline debuts at the Number 1 spot on the Billboard 200 chart. The video for Rock With U is premiered on BET’s Access Granted. Janet is taken to Cedars-Sinai Medical Center in Los Angeles with a shortness of breath due a bad flue. Janet cancels her upcoming planned performance on “Saturday Night Live” because of her flue. “Can’t Be Good” is released digitally as the 4th & final single from “Discimine”. Birth of Delore “Dee Dee” Dior Jackson, daughter of TJ & Frances. Michael hosts a party for Paris’ 10th birthday. Janet makes a surprise visit to a dance studio in Tokyo. Jermaine introduces Dr Tohme Tohme to Michael. Janet & JD go to the Foxtail club. Ellen DeGeneres presents Janet the Vanguard Award from GLAAD at the 19th Annual Media Awards at Hollywood’s Kodak Theatre. Dr Tohme calls Tom Barrack to wire $23 million in order to save Neverland from foreclosure. In exchange Barrack and his company Colony Capital receive 50 percent ownership of Neverland. Janet & JD attend the Metropolitan Museum of Art’s Costume Institute Gala in New York City which celebrates the opening of “Superheros: Fashion and Fantasy. Janet performs Rhythm Nation & Luv at the United America Concert in San Diego for 50,000 Marines, sailors and their families. Janet attends Ellen DeGeneres’s 50th birthday party at the Warner Brothers lot in Los Angeles. Janet attends the Alexander McQueen Boutique launch party in L.A.
Janet tapes a performance of Rhythm Nation & Luv for the Ellen DeGeneres show. Michael takes Prince, Paris and Blanket to see “The Chronicles of Narnia: Prince Caspian” at Brenden Theaters (Palms/Las Vegas). Janet celebrates her 42nd birthday with JD & friends at the Katsuya restaurant in L.A.
Janet & JD fly back to Atlanta to attends JD’s daughter birthday party. On today’s episode of The Ellen DeGeneres Show, Janet announces that she will be kicking off the Rock Witchu Tour on September 10 and she asks the fans to help pick the songs they’d like to see her perform on the tour by calling (323) 622-8139 with their suggestions. A new official fan club has been created for Janet at www.janetfanclub.com. The website states that members of the club will receive early access to tickets for the Rock Witchu Tour. The Tour Club, as it is called, apparently was created solely for this purpose. Via satellite, Janet accepts the Always Next, Forever Now Award for being a friend to the LGBT community at Logo NewNowNext Awards. The show will air on Logo on Saturday, June 7 at 9:00 PM ET. Jermaine and Alejandra divorce is finalized and Jermaine is ordered to pay $50,000 for Alejandra’s legal fees and $50,000 for child support in August 2007 this was in exchange for Alejandra’s waiving her right to spousal support. It is a settlement because Alejandra was married to Nicholas Ray when she married Jermaine, and her marriage to Nicholas was never nullified, nor did she get a divorce from him. Therefore, when she married Jermaine during her marriage to Nicholas, her marriage to Jermaine was null and void. Michael attends French stylist Christian Audigier’s 50th birthday party at Petersen Automotive museum in Hancock Park, Los Angeles, where he meets French singer Johnny Halliday among others. Janet attends Kanye West’s Glow in the Dark Tour in Winnipeg. Rock Witchu Tour pre-sale starts today through Janet’s Tour Club. LaToya & Jackie attend the grand opening of Palms Place Hotel & Spa, Palms Las Vegas in Las Vegas, Nevada. Michael and producer Neff-U start working on songs at this 2710 Palomino Lane home studio in Las Vegas. They work on a new version “A Place With No Name”. In NYC, Janet tapes an episode on MTV’s TRL and then an episode of BET’s 106 & Park. She also gives an interview to Entertainment Tonight. At night, she presents the Humanitarian Award to Pauletta and Denzel Washington at the 2008 Apollo Theater Hall of Fame Induction Ceremony. Michael has dinner with Thomas Barrack Jr, chairman and CEO of Colony Capital LLC, at the Las Vegas Hilton’s Verona Sky Villa. Janet makes a surprise appearance this morning on The View which airs live on ABC and she surprises host Serri Shepherd with free tickets to her upcoming tour. Janet’s episode of 106 & Park is aired on BET. Janet’s episode on TRL is aired on MTV. In a teleconference with a select group of blogger, Janet reveals that IDJ has stopped the promotion for Discipline and there won’t be a new single. She also says that her upcoming book, due in November, will be titled Me. The episode of Nickelodeon’s Dance on Sunset which Janet filmed last month is aired on Nickelodeon. The Lisa “Left Eye” Lopes Foundation presents the 2008 Lisa Lopes Humanitarian Award to Janet during the 13th Annual Hot 107.9 FM Birthday Bash at Phillips Stadium in Atlanta, GA. In a new message left through her phone service at SayNow.com, Janet reveals that she has completed the first week of tour rehearsals and that she will also be bringing the Rock Witchu Tour to Europe. Janet Jackson and famed choreographer, Gil Duldulao, in association 25/7 productions and Wright Crear Management will be kicking off the search for talented performers with raw talent. The competition reality series is open to Males and Females at least 16 years old , who appear to be between 16 and 22 and who exhibit superior talent in combined singing and dancing. Those who are eligible are encouraged to apply and attend the nearest open call, taking place in Chicago, New York, Atlanta and Los Angeles. Janet & JD take a flight to London and then Milan. Janet and JD attend the Versace Menswear Spring/Summer 2009 show, which is part of Milan Fashion Week. Janet attends the L’Uomo Vogue 40th Anniversary Celebration in Milan where she meets Donatella Versace. Janet gives a phone interview to Ryan Seacrest’s 102.7 KIIS FM morning show. Janet & JD attend the Dior ’09 Spring Summer Haute Couture fashion show this afternoon in Paris, which is apart of Paris Fashion Week. At the show, she tells the Associated Press that she has been busy preparing for the launch of her own line of lingerie later this year. Michael hires Dr Thome Thome as his new manager and president of MJJ Productions. As a result of a financial reorganiation of the Neverland Valley Ranch, all of Michael’s personal belongings have o be removed from the property. Dr Tohme R Tohme contact Darren Julien of Julien’s Auction House. Janet & JD fly back to Atlanta. Janet & JD celebrate the Independance Day in Atlanta. Michael is spotted in Las Vegas leaving a bookstore and being pushed in a wheelchair by an assistant, while Prince, Paris and Blanket walk with a security guard. Janet resumes tour rehearsals in Los Angeles. Michael attends a performance of Mystère by Cirque du Soleil at the Treasure Island Hotel & Casino in Las Vegas with Prince, Paris & Blanket. Michael’s manager Dr Tohme sign an agreement with Julien’s Auction House on behalf of Michael in order to remove all his personal belongings from Neverland while simlutaneously arranging for an auction of certain selected items that were no longer desired by Michael. Janet attends the premiere of Star Wars: The Clone Wars at the Egyptian Theatre in Hollywood. JD posts a video of himself at Janet’s tour rehearsals on his You Tube page. Michael goes to 40-40 Club (Palazzo) in Las Vegas for the third time in a month. It is announced that Janet has teamed with Bruno Schiavi, the Australian lingerie designer, for her own lingerie line named Pleasure Principle which should be launched later this year. Extra & Access Hollywood air new interviews of Janet discussing her lingerie line. Michael attends a performance by Cirque du Soleil at the MGM Grand in Las Vegas with Prince, Paris and Blanket. Michael goes to Planet Hollywood in Las Vegas. Michael gives an interview by phone to Good Morning America from his home in Las Vegas. Michael celebrates his 50th birthday with Prince, Paris and Blanket in their Las Vegas home. Colony Capital reaches out to AEG Live to discuss a possible new tour for Michael. JD posts another video of himself backstage at Janet’s tour rehearsals. In the video, Janet reveals that LL Cool J will be her opening act on the tour. Janet holds a conference call with a select group of reporters to promote the Rock Witchu Tour. In the evening, Janet presents Tito, Jackie, Marlon and Randy with the lifetime achievement BMI Icon Award in Beverly Hills. Following the acceptance of the icon award, the Jackson brothers posed on stage for photos with father Joseph, mother Katherine and sisters Janet, LaToya and Rebbie. Michael and Jermaine do not attend the presentation. Janet & JD attend the 2008 MTV Video Music Awards-TAG Records Party in Hollywood, California. Janet is in Vancouver with JD & the Kids for the final dress rehearsals of the Rock Witchu Tour. Michael and the kids have dinner at Benihana at the Las Vegas Hilton. Janet kicks off the Rock Witch Tour in Vancouver. ET airs an interview of Janet from backstage in Vancouver. Concert in Los Angeles, California (with JD, Bow Wow, Chris Tucker, Brett Ratner, Jermaine & LaToya Jackson among others). LL Cool J is the opening act. LL Cool J is the opening act. Producer Rodney Jerkins leaked the news that she had left IDJ in a video interview that was released on the internet earlier this morning. During a phone conversation with friend and spritual advisor June Gatlin, Michael confides his fears about his new manager Dr Tohme. Janet attends JD’s 36th birthday party at Tenjune, a nightclub in New York City with L.A Reid & Ne-Yo among others. Janet’s concert in Detroit is rescheduled to October 28. Janet cancels her concert in Montreal after she “got suddenly ill” during her sound check and had to be rushed to the hospital just before show time. Janet also postpones the forthcoming concerts in Boston and Philidelphia. Tonight’s concert of the Rock Witchu Tour in Greensboro, North Carolina, is postponed just hours before it was scheduled to begin. Janet also postpones the forthcoming concerts in Atlanta & Ft Lauderdale. The Tyra Banks Show goes behind the scene at Janet’s concert in Las Vegas. Tomorrow’s concert in Uncasville is postponed due to Doctor’s orders. October 11 : Fortcoming concert in Verona is postponed due to Doctor’s orders. October 14 : Janet’s manager Kenneth Crear confirms that the reason Janet postponed a series of shows during the past two weeks is because she suffers from a rare form of migraine called vestibular migraine or migraine-associated vertigo for which she is currently receiving treatment but she is ready to resume the tour. October 15 : Janet resumes the Rock Witchu Tour with a concert in Washington, DC. JD attends the show from the VIP booth. October 19 : Concert in Atlanta, Georgia. JD, Mayor Shirley Franklin, Tyler Perry, Ciara, Ne-Yo, Tricky attend the show. Michael and the kids leave their Las Vegas home and check in the Bel Air Hotel in Los Angeles. Michael has a meeting at the Bel Air Hotel with Dr Tohme and Randy Phillips to discuss a new tour with AEG. In a new video posted on JD’s YouTube page which was filmed last night from the backstage of the concert in Houston, Janet thanks everyone for their support and she and JD deny tabloid rumors that they have broken up. Michael takes Prince, Paris and Blanket to an Halloween party in L.A.
Michael takes Prince, Paris & Blanket to Borders Library in Westwood. Michael meets with Dr Tohme and Randy Phillips at the Bel Air Hotel to talk about the AEG deal. Michael takes the kids to an Haloween party at Natalie Maine’s house (the singer from the Dixie Chicks) They were invited by Veronique Peck. Concert at the Madison Square Garden in NYC. Janet’s representatives officially announce that they will not reschedule any of the remaining postponed dates of the Rock Witchu Tour. Michael has given up title to his Neverland ranch, transferring the deed to a company he partly controls.The singer filed a grant deed on the ranch that makes the new owner an entity called the Sycamore Valley Ranch Co. LLC, a joint venture between Jackson and an affiliate of Colony Capital LLC,Colony Capital is a Los Angeles-based real estate investment company run by billionaire Tom Barrack. It owns several properties in Las Vegas, including the Las Vegas Hilton. LaToya attends The Gipsyland Gala Dinner at The Beverly Hills Hotel Crystal Ballroom in Los Angeles, California. Day 1 of Sheik Abdulla bin Hamad Al Khalifa VS Michael Jackson trial in London. Michael’s lawyers ask for him to give evidence by video link from the U.S., citing an unspecified medical condition. Testimony of Sheik Abdulla bin Hamad Al Khalifa. Media outlets in Japan are reporting that Janet will bring the Rock Witchu Tour to four cities in Japan for five performances in February 2009. Michael’s lawyer Robert Englehart tells the judge on that the doctors have cleared Michael to travel to the UK so that he can testify. Janet & JD attend the grand opening of Palm Jumeirah and its flagship Atlantis, the Palm Resort at the Palm Jumeirah Island in Dubai, United Arab Emirates. Testimonies of Grace Rwaramba, Guy Holmes and Mark Stewart. Michael cancels his trip to London upon learning that his legal team has reached a settlement with Sheik Abdulla bin Hamad Al Khalifa’s lawyers. Michael celebrates Thanksgiving with Prince, Paris and Blanket at their new home. A $38 million Holmby Hils estate rented for $100,000 a month on Carolwood Drive. The pad has seven bedrooms, 13 baths, 12 fireplaces, a screening room, a guest house, a swimming pool and a garden. Back in the US, Janet & JD celebrate Thanksgiving. Tom Barrack and Dr Tohme Tohme convince Michael to accept a concert deal and they contact Randy Phillips from AEG Live in oder to start negociations. Michael is spotted wearing a Zorro mask while shopping in Los Angeles. Michael is spotted wearing a Zorro mask while visiting his Dr Arnlold Klein, his dermatomogist’s office in Beverly Hills. 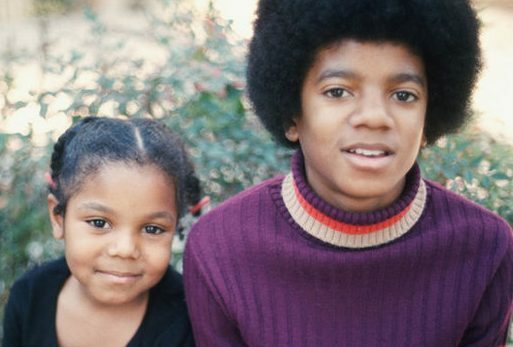 The writer’s wild allegations concerning Mr. Jackson’s health are a total fabrication. Michael celebrates Christmas eve with Prince, Paris and Blanket and their guests Dr Arnold Klein and Carrie Fisher in their new Bel Air home. The golden gates of Neverland are removed and put into storage in an nondescript warehouse on the outskirts of Los Angeles as part of a public auction next April 2009. More than 2,000 items, ranging from personal effects and costumes to pieces from Michael’s private art collection as well as fittings and furnishings from his Neverland ranch, will be up for sale at a four-day public auction at the Beverly Hilton hotel in Los Angeles. Janet celebrates Christmas holidays with JD & LaToya. Michael is spotted at Hennessey and Ingalls a Santa Monica bookstore. He then visits Dr Klein in Beverly Hills.